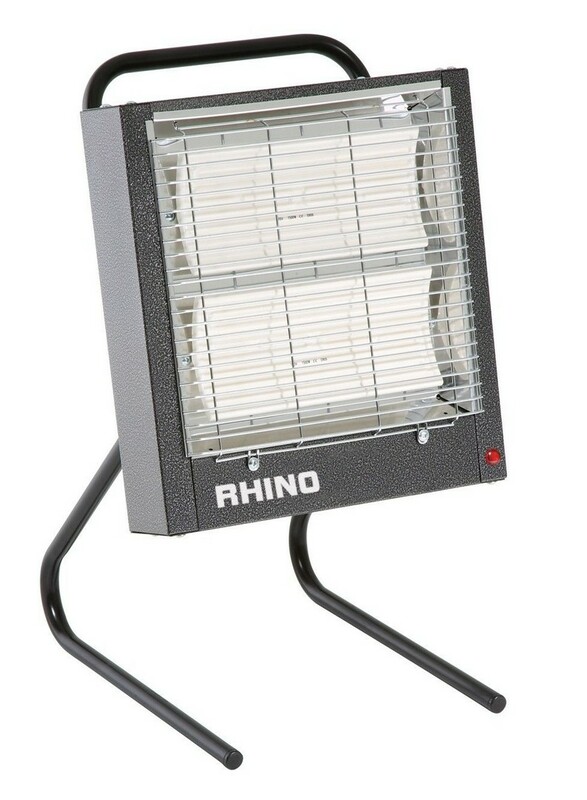 Rhino CH3 portable ceramic heater. Ideal for providing instant warmth to a range of environments from offices to workshops. Made with a robust steel case, the CH3's features include highly efficient twin 1400W ceramic heater elements, 2 heat settings and LED 'power on' indicators. 110v.